 A key part of using Kanban for project management, is limiting the number of tasks allowed in a certain status at any one time. This is often referred to as WIP, or Work in Progress. Limiting WIP prevents bottlenecks around any single step in the process. To set a WIP limit on a status, sign into your WordPress admin, go to Kanban > Settings, and add your limit next to the status you want to limit. 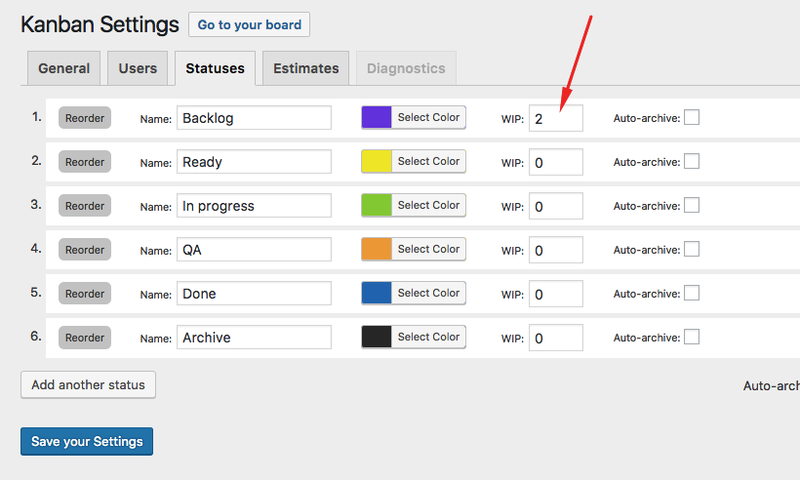 Then when you visit board, you will see your limit represented next to each status column title. If you attempt to add or drag a task to a status that has reached it’s limit, you’ll see a notice.